Cannon County Sheriff’s Deputy Seth Perry observed a red Chevy pick-up truck swerving on Center Hill Rd. and running off the road on the right side several times at approximately 11 p.m. on Dec. 5. He initiated his emergency lights in an attempt to stop the vehicle as it approached the intersection of Center Hill Rd. (State Rooute 281) and Short Mountain Rd. (SR 146). The truck then accelerated through the intersection coming off Centerhill Rd. and Short Mountain Rd., heading toward DeKalb Co. It initially sped up to around 67 mph and then slowed to speeds constantly around 45-50 mph. Deputy Perry continued to follow the vehicle on Short Mountain Rd. until it approached Short Mountain School, where it pulled into the parking lot. Deputy Perry pulled in behind the truck, exited his vehicle, and order the driver, Billy Woodard, to get out of the truck with his hands raised. He then placed Woodard into handcuffs. The deputy observed smelled strongly of an alcoholic beverage. Woodard admitted to drinking a few beers earlier in the day. He stated the reason he tried to avoid being stopped was because he had been drinking. 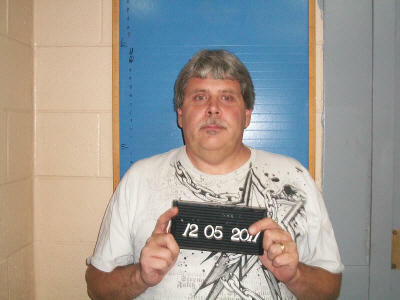 Woodard refused to submitting to either field sobriety or blood alcohol content tests. Woodard was placed under arrest. On the say to jail, he stated, "I am sorry. I didn't mean to cause all this trouble. I don't know what I was thinking running like that." He was charged with DUI, Evading Arrest with a Motor Vehicle and Violation of the Implied Consent law. Bond was set at $3,500. Initial court date is Jan. 3.